And all the times I was picking up potatoes, I did have conversations with them. Too, I did have thinks of all their growing days there in the ground, and all the things they did hear. 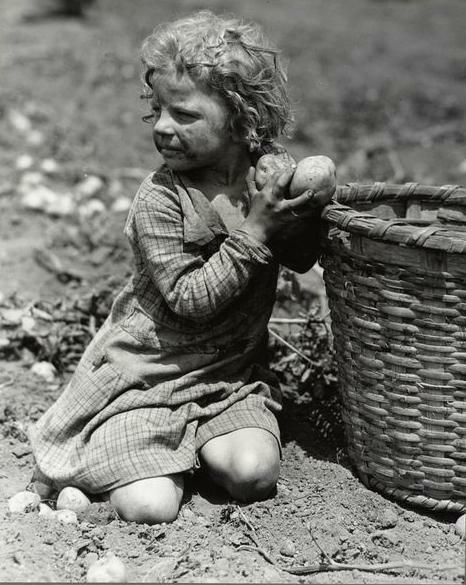 Earth-voices are glad voices, and earth-songs come up from the ground through the plants; and in their flowering, and in the days before these days are come, they do tell the earth-songs to the wind … I have thinks these potatoes growing here did have knowings of star-songs. ~Opel Whiteley, 8 years of age, The Singing Creek where the Willows Grow – The Mystical Nature Diary of Opal Whiteley, Penguin, 1994.